I was born and raised in Omaha, Nebraska and Graduated from the University of Nebraska at Omaha with a BSBA major in accounting in 1985. I went to work for a small company called Transceiver Mid-America as their accountant and bookkeeping solution San Antonio. I had a burning desire to work for a Public Accounting Firm. My two favorite classes in college were entrepreneurship and the tax class. I got my CPA license in 1988 and worked in Public Accounting for 5 years. I loved my job and continued to learn more and more about Corporate and Individual taxes for preparation as a professional service. My entrepreneur spirit led me to start my own business which was completely by accident. I made up a shirt that said Echo un magnifico Italiano, which translates to, here is one magnificent Italian. I was asked several times where I got the shirt, and if I could get them one. After hearing this over and over again, I said to myself if Italians are proud of their heritage what about other ethnic groups? I did some research to find the most popular ethnic groups in Omaha and decided to print some shirts in the ethnic language and sell them in a mall at Christmas time. Our first year we sold $30,000 in six weeks with seven designs. We had people asking for other nationalities so the following year we expanded the designs and did $50,000. We continued to expand for the next 15 years adding locations and designs. I believe our best year sales were approximately 3 million dollars. The malls continued to raise the rent and sales started dropping. At that time I was approaching 40, and had a strong desire to get back into Public Accounting full time. I continued to prepare 50 individual tax returns and 10 Corporate returns each year to keep my hands in it. I sold the business in 2006, and at that time my wife expressed a strong interest to move where it was warm. We decided to re-locate the family to beautiful San Antonio, Texas. Shortly after moving to San Antonio, Texas I started working in Public Accounting and 8 months later October of 2007, I bought into a CPA practice and started providing corporate tax services in North San Antonio. I continued to brush up on my skills and expand my clientele for the next 4 years. In the fall of 2011 I decided it was time to go on my own to gain more control of my income and to expand the practice. My experience as a small business owner managing employees, preparing sales projections by design, ordering product, negotiating leases, and managing the day to day accounting functions of running a small business have helped better understand the great benefits of being a small business owner and appreciation of time and dedication it takes to run a small business. Our firm specializes in helping small business with all their accounting and tax needs. We offer a complete bookkeeping package that includes, payroll, payroll tax deposits, filing quarterly payroll reports, quarterly financials, year-end w2’s, 1099’s, and preparation of the Corporate or Partnership tax return, and the Texas Franchise Report. We charge a quarterly fee for our bookkeeping package and other services like corporate tax services in North San Antonio. 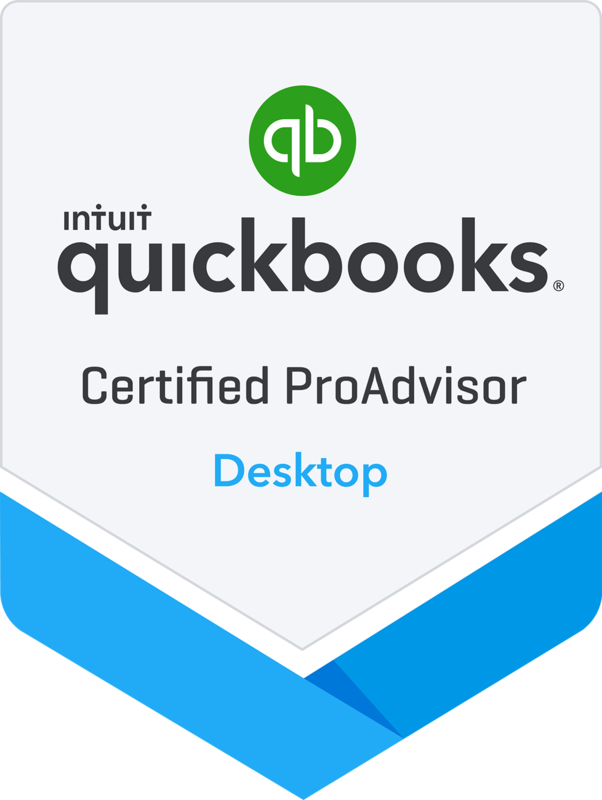 We also will train our clients to use QuickBooks, so they can run their business efficiently. Please call us for pricing.